Follow my Dessert Recipes Board on Pinterest for more drool-worthy desserts! Now be honest. You knew this was going to happen. Because Pineapple Squares and Pineapple Meatballs and Pineapple Fruit Dip and Pineapple Salsa on Chicken Tacos. I am a pineapple fanatic! The answer? Not too much. I have a big thing for crisps of all kind. This Berry Cherry Crisp from last summer and if you know me at all, you know I’ve Apple Crisped pretty much everything: pancakes, cookies, cinnamon buns, doughnuts, french toast, smoothies, and the list goes on. This an easily gluten free dessert if you use certified gluten free oats. 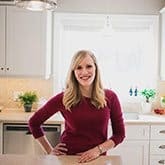 Be sure to double check if you’re cooking for people with allergies. I made this recipe twice, once with half the streusel, and once as the recipe now is. If you’re looking to cut out some calories/sugar/etc, you could easily halve the streusel recipe and you wouldn’t lose out on too much. Me? I like a lot of streusel. See how easy it is to make and subscribe on YouTube! For pineapple lovers! 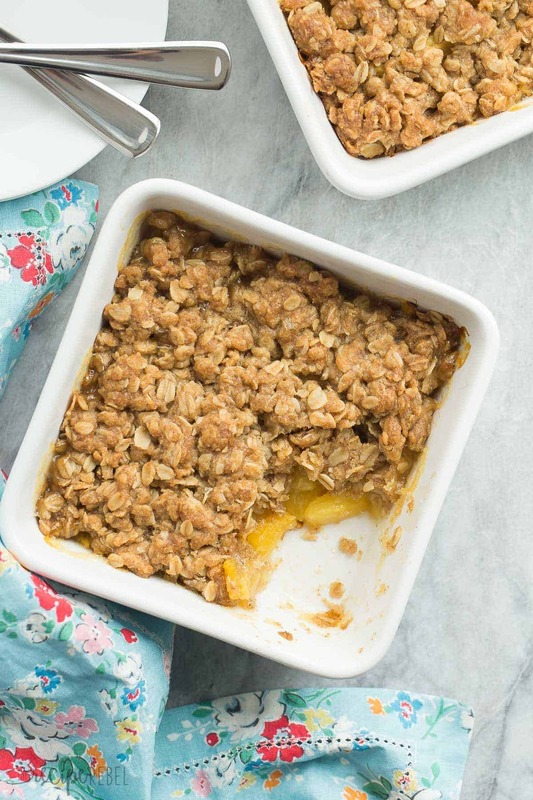 This Pineapple Crisp is loaded with fresh pineapple chunks, topped with a brown sugar streusel, and baked until golden! SO good with vanilla ice cream! Easily gluten free. Combine pineapple, 2 tablespoons brown sugar and corn starch. Place pineapple in an 8x8" baking pan, or in individual baking dishes as pictured if desired. In a large bowl, combine butter, ½ cup brown sugar, oats and flour until combined. The texture will be that of a cookie dough -- easily pressed and held together. Crumble topping over the pineapple in baking dish and press down gently. Bake for 45 minutes or until bubbly around the edges and golden brown on top. Serve as desired with vanilla ice cream! Combine pineapple, 2 tablespoons brown sugar and corn starch. Place pineapple in an 8×8″ baking pan, or in individual baking dishes as pictured if desired. In a large bowl, combine butter, 1/2 cup brown sugar, oats and flour until combined. The texture will be that of a cookie dough — easily pressed and held together. Crumble topping over the pineapple in baking dish and press down gently. Hi wat if I don’t have corn starch or flour? Thank you for this easy ingredient, quick prep time, and delicious result of pineapple and crisp. May God bless you and your family this Thanksgiving. 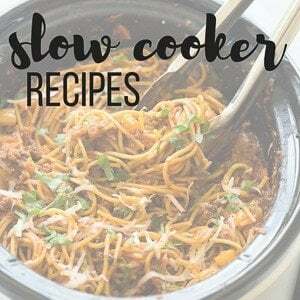 Thankful for this recipe! This looks absolutely delicious!!! Can I use well-drained canned pineapple chunks in place of the fresh pineapple? Thanks! 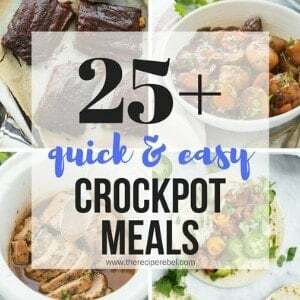 Hi Ashley, this looks great and I can’t wait to try it! On the gluten: Oats are generally gluten free, as is cornstarch, but if one needed to make this gluten-free, I think you would have to use gluten-free flour. Whole wheat flour still has gluten. I think King Arthur makes some gluten-free flours, and probably some other brands, too. Oh, I’m so sorry about that! I knew that, and just forgot to make a note. I often use ground gluten-free oats, but just forgot to make a note! Thank you for pointing that out! 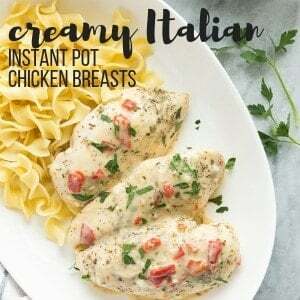 This looks amazing and I have almost everything, however if I don’t have corn starch in the cabinet can I substitute anything for it? Hi Arielle! You could try stirring just a tiny bit of flour in with the pineapple — it’s just to thicken the juices. 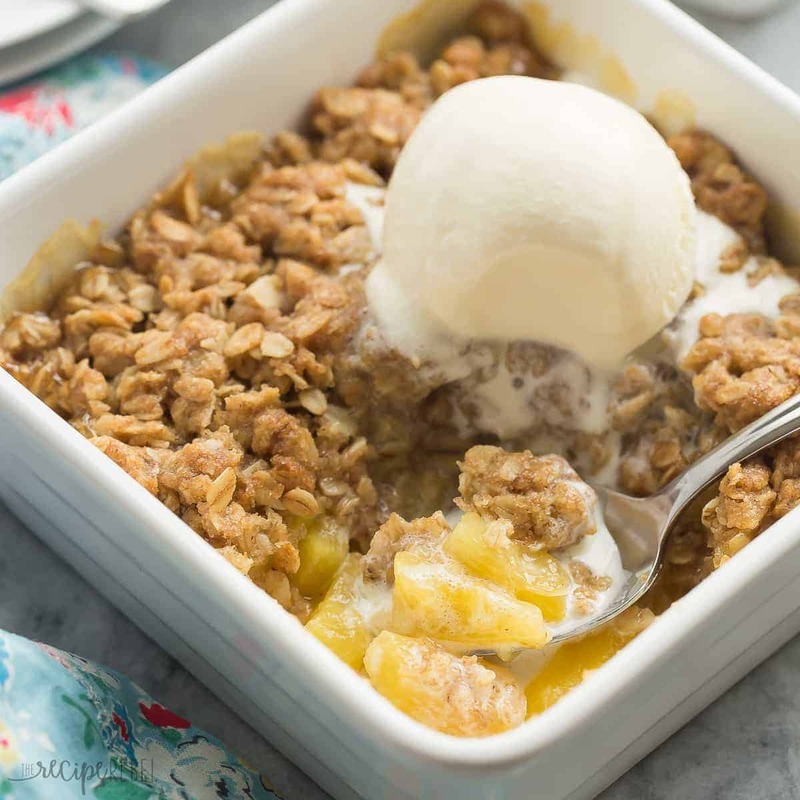 This pineapple crisp looks amazing Ashley! I don’t think there could be a more perfect dessert for summer! Yum! I have never seen a pineapple crisp before! What a great idea! This is brilliant! I love pineapple, but have never thought to use it in a crisp recipe. So genius! Plus, I love that floral napkin in the pictures! Thanks Michelle! I love it too! Well I am SO glad this happened, because I’m totally on board with all things pineapple! ESPECIALLY when it involves brown sugar streusel!! Hook me up, girlfriend because this looks AMAZING! Seriously, I need to stop visiting your site when I’m hungry… I always leave here hangry. And drooling! 😉 This crisp is perfection! Cheers, girlfriend! What?!? 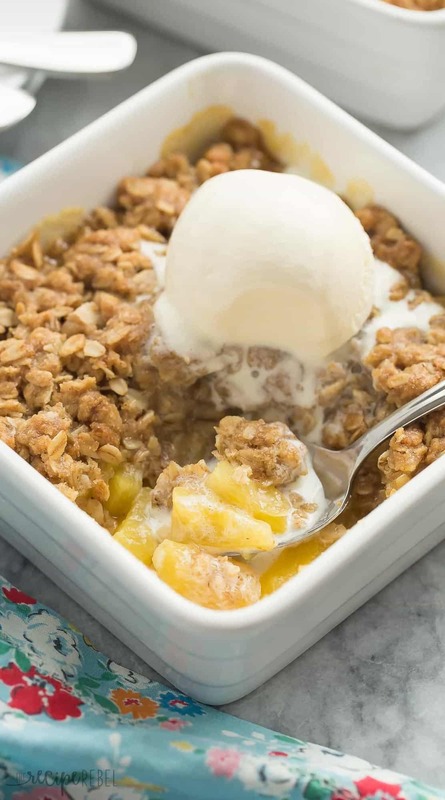 Pineapple crisp is a genius idea Ashley!! Looks soooooo good. Wishing I had some with my morning coffee now. Yum! I think this is the first pineapple crisp I’ve seen!!!! LOVE this, Ashley! Oh my goodness, warm pineapple is the BEST! Have you ever tried grilling pineapple before? It’s LIFE-CHANGING! Ashley, this is AMAZING! I have never heard of a pineapple crisp before but that is so clever! Love it! Oh my gosh, I LOVE this idea, Ashley!! I am such a sucker for fruit crisps and pineapple so I am totally wishing I had a big giant bowl right now! Looks amazing!! Thanks Kelly! I love a good fruit crisp too! I can only imagine how good this pineapple crisp must be! 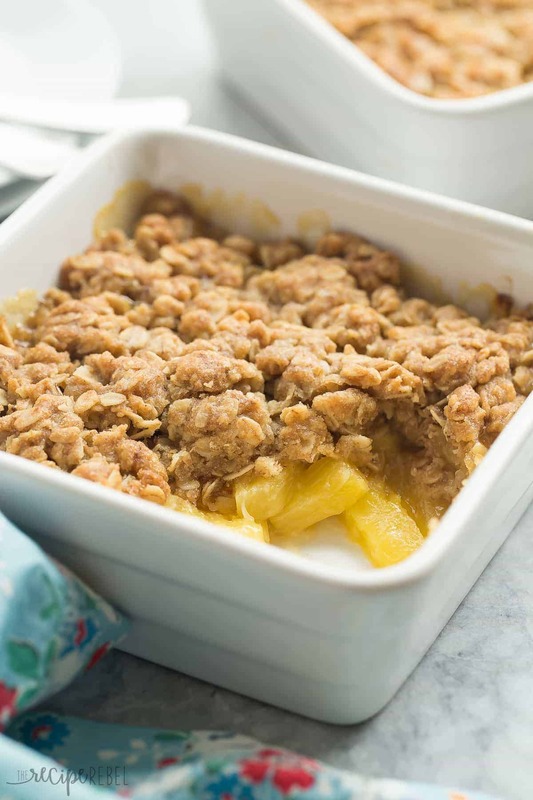 OMG…how have I not heard of pineapple crisp before?! You’re a genius! I need to try this ASAP – I’m drooling over here. (pats self on back) Lol! Right?! I was kind of super excited about it! Hi Ashley! I love grilled pineapple and know I will love this! Sometimes it’s difficult to find a good pineapple, but I’m going to be searching for one now! I still have to try grilled pineapple! That was part of my inspiration for this dessert but I’ve never made any! Haha. Thanks Dorothy! I’ve never had a warm pineapple dessert, either! I love this idea! 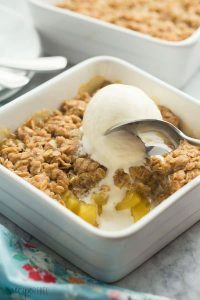 My kids love pineapple and I know they would be so happy with this pineapple crisp! Thanks Kristine! I’m so happy with the way it turned out! Oh pineapple crisp?! I’m loving this, Ashley! Such a great idea! I’ve never even thought to use pineapple in a dessert like this before, and now I’m kicking myself because this looks SO good. I wish I could dive right into this for breakfast! I know! I don’t know that I’ve ever made a pineapple dessert besides my Mom’s pineapple squares either — we always just eat it fresh or use it in savory dishes!